Happy Tuesday, blog friends!! How are you doing on this fine Wednesday? My day has been good....pretty quiet. My hubby got home yesterday from a quick business trip over to Rapid City, and today he is working on his home brew stuff...so I am just doing my own thing! A little bit of work on the computer, watched a couple of DVR'd shows & I am going to get some crafting done here in a bit! 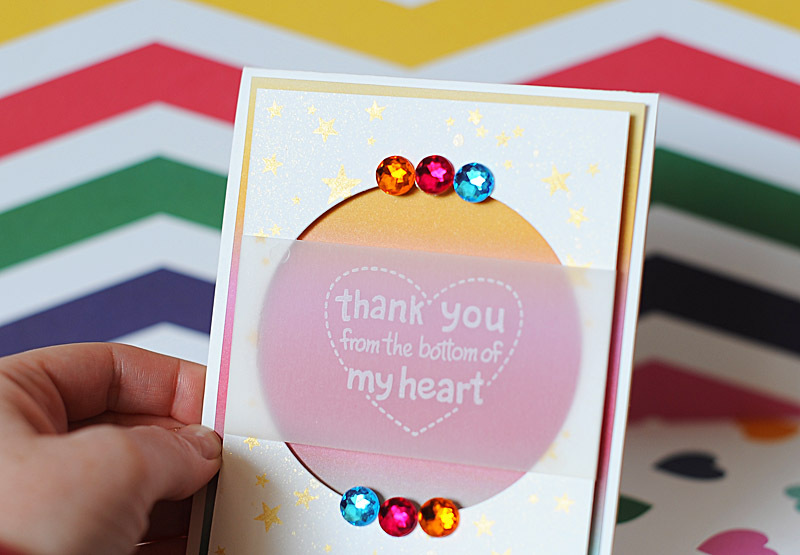 So, I went all clean & simple recently, and I have a card to share with you today that came from it!! Lol! 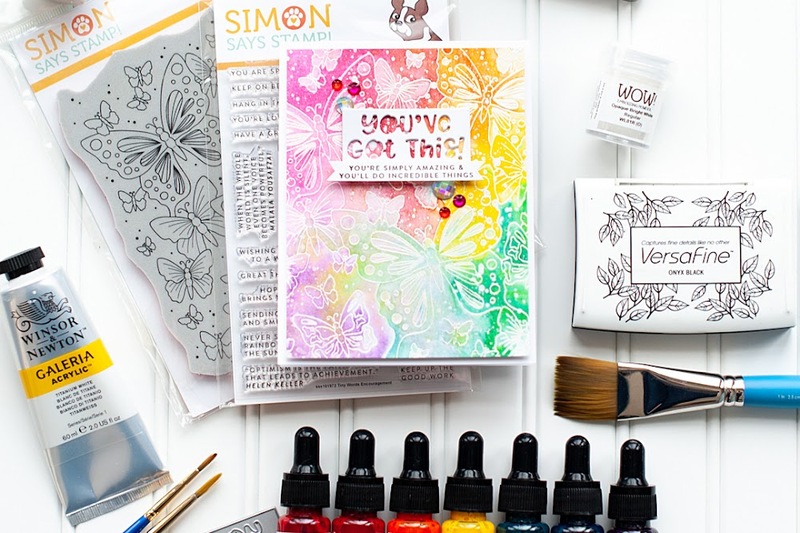 It uses my fave sheet of paper from the Glitz Design "Wild & Free" collection, and some stamps from Lawn Fawn and Winnie & Walter!! Check it out! 2. Cut rainbow paper slightly smaller, then adhere. 3. 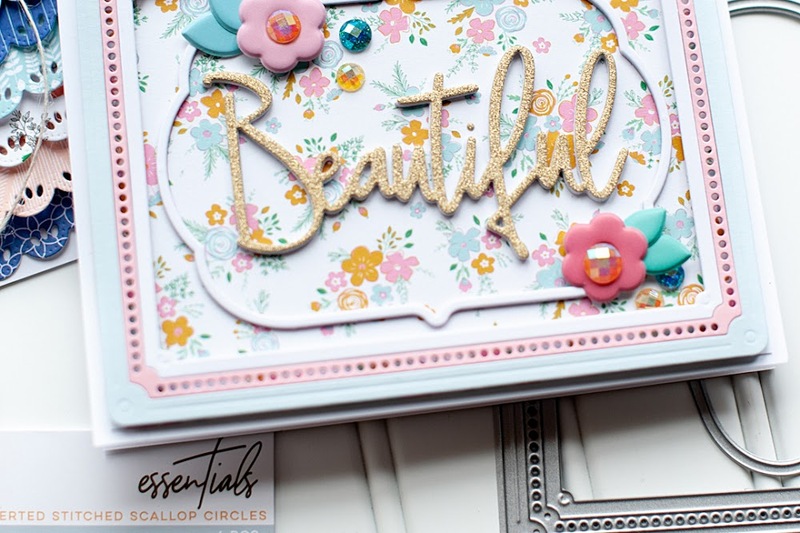 Cut white cardstock block slightly smaller, then stamp the stars & spray with gold mist. 4. Diecut the circle from the middle of the stamped block. 5. Cut a strip of vellum, then stamp the sentiment to the middle. 6. Once dry, adhere the vellum strip across the middle of the cardstock block. 7. Adhere the white cardstock block to the front of the card base with foam adhesive. 8. 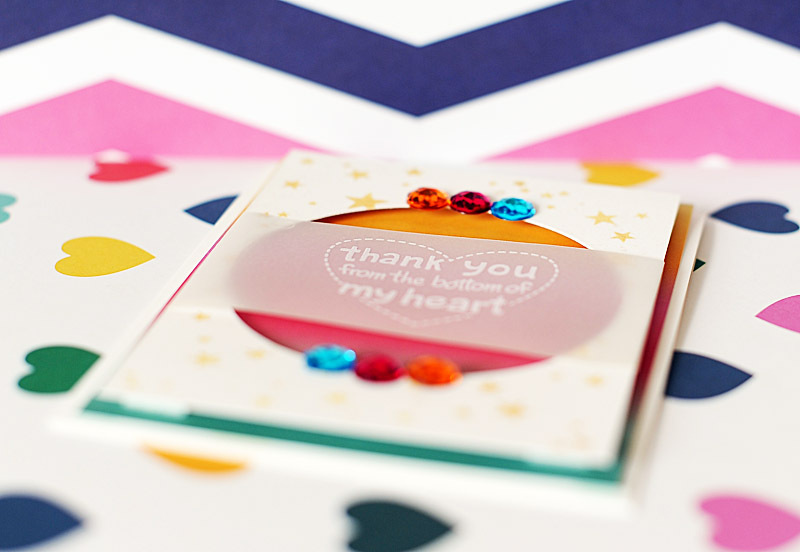 Accent the top & bottom of the diecut circle with matching jewels to finish. I actually really love this card...it ended up coming together. I wasn't loving it at first...for awhile I thought it was going to be a lost cause & tossed right into the recycling bin. I'm glad I kept working with it, changing the things that weren't working for me...& turned it into this CAS little number! ;) I hope you like it too! Well, that is all I have for you today!! I hope you have a great rest of your day! This is totally gorgeous!! 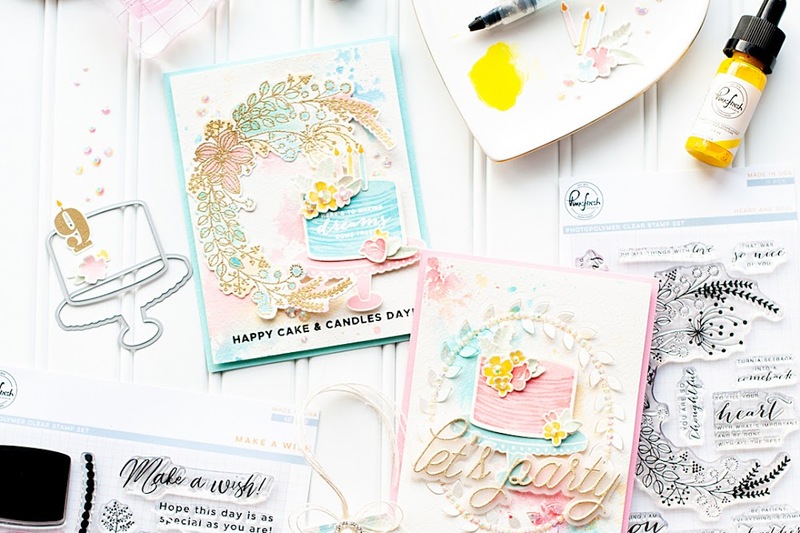 Love the mix of bright colors with gold muted with the vellum... it's perfect, I think one of my faves from you... and you always amaze me! Another amazing card, Lea! 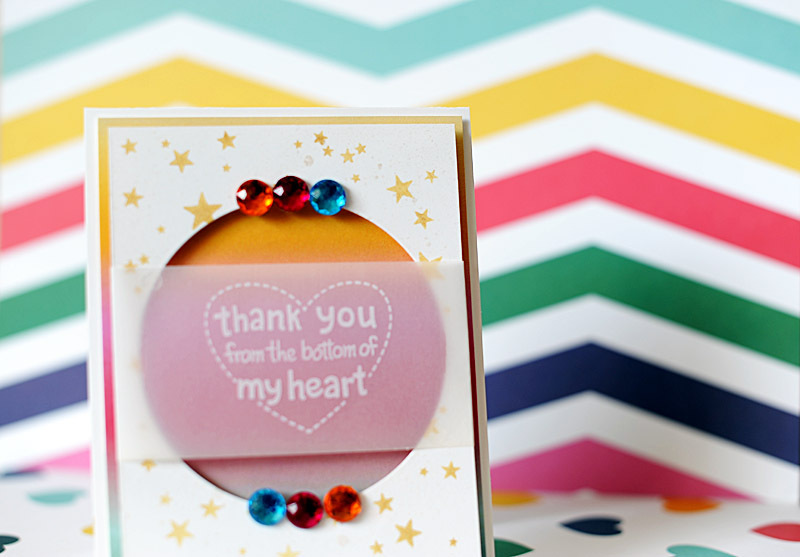 Love the gold + bright jewel colors. Thank you so much for using Winnie & Walter along with the ever awesome Glitz Design and Lawn Fawn. I adore this! The colors make me happy & the jewels, I love the jewels! Super cute!